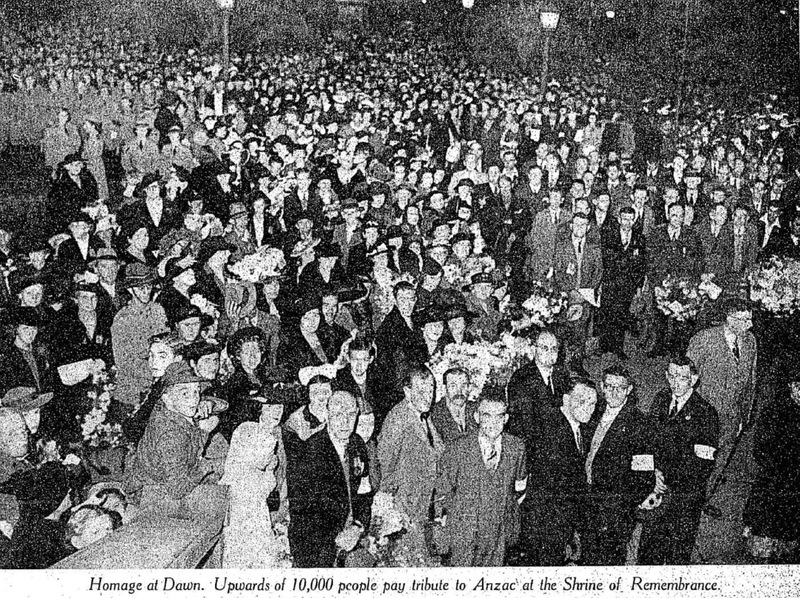 ABOVE: The Anzac Day Commemoration Committee of Queensland (“the ADCCQ”) assembled in 1922. Back Row (from left). – Archibald Watson (The Associated Chamber of Manufactures of Australia, Queensland Branch), Charles Gibbon (The Sailors’ and Soldiers’ Fathers’ Association of Queensland), Colonel William McKenzie (Salvation Army), Stanley Wilmott (The Overseas Club) and Arthur Exley (The Royal Society of St George). Second Row.– Patrick Joseph McDermott (The Irish Association of Queensland), James Francis Maxwell, MLA (The Employers’ Federation of Queensland), Captain Eustace Royston Baum Pike (joint honorary secretary, ADCCQ), William Myers King (The Queensland Chamber of Commerce), the Reverend Alfred George Weller (chaplain) and Alderman Alfred Faulkner (Mayor of South Brisbane). Third Row.– Canon David John Garland (joint honorary secretary, ADCCQ), Lieutenant-Colonel James Murdock Archer Durrant (base commandant, Enoggera Barracks), the Reverend Dr. Ernest Northcroft Merrington (chaplain), Major Edward John Dibdin, DSO (The Returned Sailors’ and Soldiers’ Imperial League of Australia, Queensland Branch), Brigadier-General James Harold Cannan (The Returned Sailors’ and Soldiers’ Imperial League of Australia, Queensland Branch), Major-General Sir Julius Henry Bruche (commanding field troops of 1st Military District) and Captain Herbert Mark Meadows Maddock. Sitting.– Thomas Augustine Ryan, Archbishop of Brisbane (The Most Reverend Dr. Gerald Sharp), the Honourable John Henry Coyne (chairman, ADCCQ; State Member for Warrego and Secretary for Public Lands), the Roman Catholic Archbishop of Brisbane (The Most Reverend Dr. James Vincent Duhig), Alderman George Down and the Honourable Andrew Joseph Thynne (Life Member of the Legislative Council). Photo: Regent Studios. This photo appeared on page 10 of “The Telegraph” newspaper of 11 March 1922. It will be remembered that on 10 January 1916, a public meeting was held in Brisbane, presided over by the Mayor of Brisbane (Alderman Down) [ George Down ], and addressed by his Excellency the Governor (Sir Hamilton John Goold-Adams), the State Premier (Hon. T.J. Ryan) [ Thomas Joseph Ryan ], the Leader of the Opposition (Hon. J. Tolmie) [ James Tolmie ], Major- General J.W. McCay, CB, VD (lnspector-General of the Australian Forces) [ James Whiteside McCay ], and Chaplain Lieutenant-Colonel Garland [ David John Garland ], when it was decided that the first anniversary of the landing at Gallipoli shall be suitably celebrated in Queensland, and that the other States be invited to similar action. At the meeting, which originated with and was carried out by the Queensland Recruiting Committee, a committee was appointed to make all the necessary arrangements for and carry out, the celebrations of Anzac Day, and was later enlarged. It was decided that the date to be observed be April 25, the day of the original landing, and that the chief object of the day be the commemoration of our fallen heroes and for the honour of our surviving soldiers. It was further decided that, in order to express the character of the day, no effort be made to raise funds or any prominence given to the collecting or raising of funds. (b). 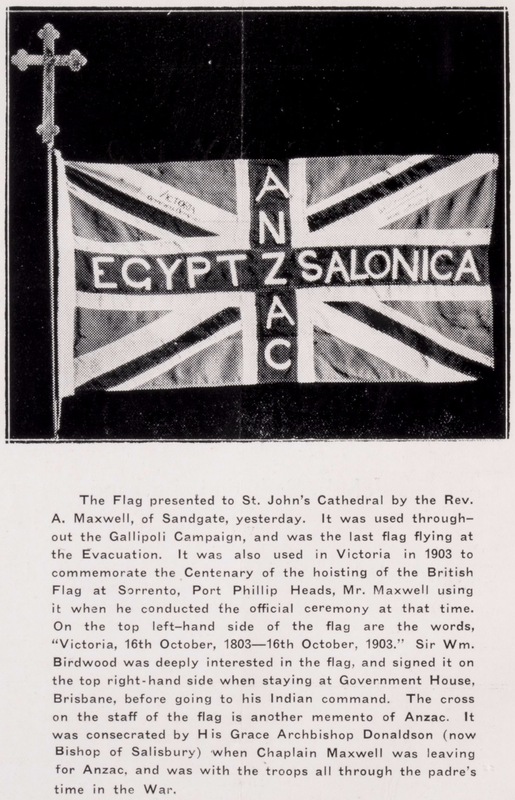 That at such public meetings, the place of honour be given to the relatives of those who have died in Gallipoli and of those who have enlisted. The Minister for Public Instruction [ Herbert Freemont Hardacre, State Member for Leichhardt; Secretary for Public Instruction in Thomas Joseph Ryan’s Australian Labor Party Government, from 1 June 1915 to 9 September 1919 ] has undertaken the duty of impressing upon the school children the historic value of Anzac Day, and with this end in view a special number of the “School Journal’’ will be issued devoted solely to Anzac Day. The children will be assembled on the last day before the Easter holidays and addressed upon the subject. Copies of the “Journal” will be supplied also to all private schools. The State Commandant [ Colonel George Leonard Lee, DSO ] agreed to a parade of all troops in camp to be held in the city of Brisbane in the afternoon, provided that such parade was not used in any way for tho raising of money or for jubilation. At this parade the place of honour will be given to all available returned soldiers. Communications are being addressed to the mayors and chairmen of all local authorities throughout the State, urging such local action throughout Queensland as will insure a simultaneous observance of the day. To this end committees will he appointed locally to carry out the plan. 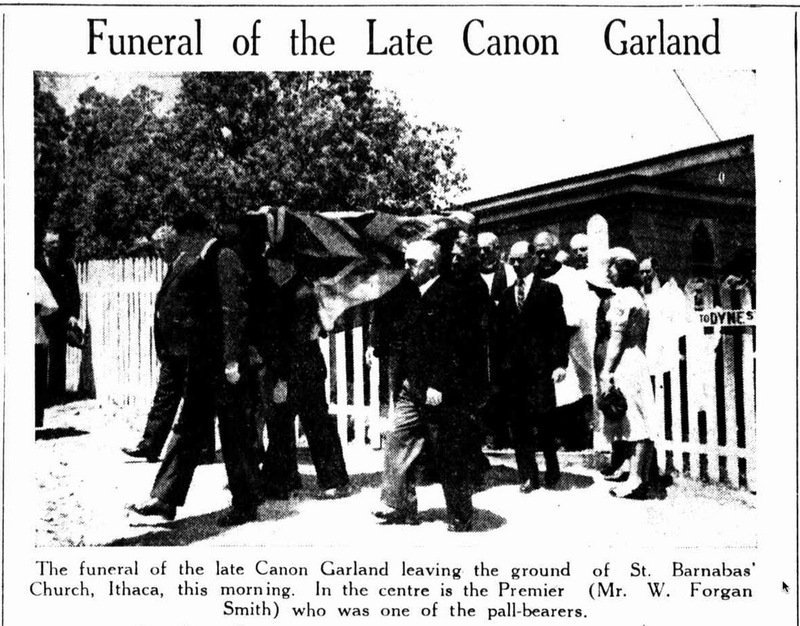 and Chaplain Lieutenant-Colonel Garland (Hon. Secretary). A special meeting of members of The Royal Society of St. George will be held in the society’s rooms tomorrow to decide what form the Anzac Day celebrations shall take here. About a week ago, at a public meeting, it was decided to fall into line with Brisbane, and celebrate the day as a day of thanksgiving. Apparently the society will not join in, as it is advocating a procession, with a picnic and sports to follow. – from page 4, “The Brisbane Courier”, 1 March 1916.